Oooh this is a fun one. They went and played with the data here and found that having a nonstop link is of huge importance to developing business between two cities. And some places are just naturally better-suited to having those links thanks to quirks of geography. This is great news for places like Dubai, but closer to home, you can see why small cities are so concerned about losing air service to former hubs. A lost link is bad news for business. This was sent to me by someone else in the industry. Is it really a problem? Is it possible to be addicted to 747 tributes? I feel like this is becoming a problem. Now just wait until next week when I have a guest post about the last United 747 passenger flight. The direct flights article is interesting but nothing really new. Most cities are located where they are because of something to do with geography – a river, a natural port, etc. In modern air travel it’s no different that some places (Dubai) make great crossroads. All that said it takes more than location for airline business to be successful. Case in point is Kansas City. Geographically it’s right in the middle of the lower 48 and would make perfect sense for a massive hub. Instead the traffic went north or south to places like Dallas, Houston, Chicago and Minneapolis. All cities with much bigger business communities, more fortune 500 companies, more people, more O/D traffic. Direct flights are great for building business but in an era where planes can travel much beyond 5000 miles those direct links will be made if the airline sees a profit in it. We also read a couple posts in the past couple weeks that MCI was poorly suited to connections anyway. The CityLab article mentions time limits for shifts for pilots and FAs as justification in using the ~6,000 mile radius in the study, but it doesn’t really go into them much. I would be very interested in a post that explains the shift time limits and airline crewing rules (both those mandated by government and those mandated by union contracts) in detail, but in plain English. 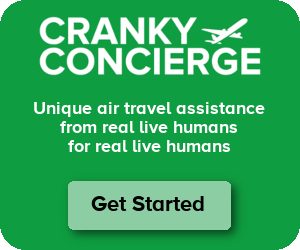 Given the challenges that some airlines have had around crewing (e.g. Ryanair), it would be interesting to read/listen to an interview or article describing the work and “day in the life of” an airline crew scheduler… Same for the airline employees that schedule which planes to use and which planes (and when) to send to routine maintenance. Just a thought, Brett, if you’d like some ideas for new posts. You’ll see that permissible flight time varies, depending on the type of operation, the number of crewmembers, the time the operation starts, and the stage length. So there’s not one cut/dry answer, unfortunately. Additionally, union contracts vary by operator, but CBAs cannot increase flight time/reduce rest outside the limitations of the regulations. Kilroy – Much of that has become so complex that it’s all computerized now. The schedulers are there to feed the model. Specifically on long haul, there’s a certain point that requires an augmented crew with one additional pilot. Then for ultra long haul flying, you need a whole additional crew onboard for rest purposes. 1) This is why the government of Dubai is spending a lot of money to build up EK and make Dubai a major hub. Heck, there are two airports in Dubai these days, DXB and another airport (DWC) for mostly cargo out in the desert. We all know why that area of the world is great for connections. The government is trying to come up with ways for Dubai to make money once the oil runs out and they have really built a lot of infrastructure in the past 20 years. As an aside, I hate it when people use direct and non-stop interchangeably. While all non-stop flights are direct, not all direct flights are non-stop. 2) While I find these blogs useful for figuring out which airline I want to fly on an international route, I think these reviews are over the top. I think that’s one reason your blog is widely read in that you don’t really game to overly spoil you and you call it as you see it. 3) Am I one of the few people who really didn’t love being on a 747 especially in Y? I thought it was just another tightly packed in torture tube. Climbing the stairs to ride in the upper deck was really cool though. Give me an A380 any day. It’s quieter and more comfortable. Agreed, but I think it’s because there aren’t nearly as many true “direct” flights sold these days compared to in the past, and pax don’t really think of them as “direct but nonstop” flights. For example, United Airlines Flight 936 (https://en.wikipedia.org/wiki/United_Airlines_Flight_736) was a **direct** transcontinental passenger flight from Los Angeles to New York City… With planned stops in Denver, Kansas City, and Washington, DC. Four segments for a **direct** transcontinental flight back in the day, on a route that these days few pax do with even a single stop. > I hate it when people use direct and non-stop interchangeably. While all non-stop flights are direct, not all direct flights are non-stop. I just had a flight in September that went SJC – SLC – LHR on the same flight number. The first leg was a 717 and the second leg was a 767. When I sent anyone the itinerary it made no mention of the landing and departure time at SLC. That’s borderline deceptive in my book, especially since you had to change planes… That’s almost a hidden connection, one that you could theoretically miss (by dawdling in SLC before getting to the next gate, or if the SJC-SLC leg is significantly delayed and the airline didn’t want to hold the SLC-LHR plane any longer). Amen, Kilroy! I agree with the incorrect use of the word “direct” when the speaker really means “non-stop”! Dubai actually isn’t really oil/gas rich, unlike its neighbors. Today it is apparently 5% of GDP. True. I was in Dubai last month and they have only one oil field with about 10 – 20 years of oil remaining as opposed to Abu Dhabi, which has about 100 years of so of supply. But, UAE still has enough oil money where the Emiratis don’t have to worry about working for the foreseeable future. It’s amazing what they have built (all in the last 20 years) and what they are going to building in the future. They are trying to be the Hong Kong of the Middle East. I’m curious if it will all work. Isn’t there a chicken and egg problem in the direct flights article? Perhaps the strong business link between two cities breeds a direct flight, rather than a direct flight breeding a strong business relationship. All the above post in shared link was interesting but I liked I like this one: https://www.cbsnews.com/news/the-747-flies-into-the-sunset/ most. In which the story of Claiborne was very interesting. It really make me fan of her. However I am studying Aircraft Maintenance Engineering while Claiborne was a pilot, but it make me excited to drive a plane.